If you have a recently approved visa you may need to apply for a Social Security number. Social Security numbers are used to report wages to the federal government for tax purposes, as well as to determine eligibility for Social Security Benefits and certain other government services. Generally, only those authorized to work in the United States can receive a Social Security number. 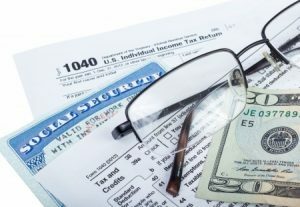 If you are not authorized to work in the United States, you do not need a social security number; some companies such as banks or credit companies may ask for Social Security numbers for their records, but generally you are not required to provide a Social Security number if you do not have one. Often people wo are in the U.S. but not in a work authorized status obtain an Individual Tax Payer Identification Number (ITIN) from the IRS, and these can often be used in place of a Social Security number to obtain credit, open bank accounts, or pay taxes. Individuals lawfully in the U.S. in a non-work authorized status and thus unable to obtain a Social Security number are able to obtain a Driver’s License without a Social Security number. If you are eligible to receive a Social Security number, then you should apply for a Social Security number and card by visiting your local Social Security office. A list of local Social Security offices can be found on the Social Security Administration’s website. Applying for a Social Security card is free. To do so you must complete an Application for a Social Security Card (Form SS-5). The form is available online, so you can complete this form before visiting the office to speed up the process. With your Form SS-5, you will have to provide at least two (2) original documents proving your identity, age, and your immigration status and work-authorization. To prove your identity and age you should bring your foreign birth certificate and a currently valid foreign passport. In order to prove your work authorization you should bring your Form I-94, your Employment Authorization Document (EAD), and your I-797 Approval Notice. The Social Security office will mail you your number and card as soon as they have verified your information and documents. Barring any complications, you should expect to receive your number and card in the mail approximately two weeks after you apply for your number. The Social Security Administration recommends you wait at least ten days after entering the country to apply for your Social Security number to ensure your immigration information is current and available to the verifying agencies.